If you are in your 30s, you are probably finding yourself a little nostalgic in the toy aisles these days. It’s a nasty ploy: toy companies appealing to our nostalgia as we relive some of our childhood through our own children. But really, how can we resist the reappearance of My Little Pony, the 25th Anniversary Cabbage Patch Kids (why do I feel like I have to buy one?! ), and Strawberry Shortcake. Unbelievably, I’ve remained relatively strong, despite the emotional walks down memory lane. 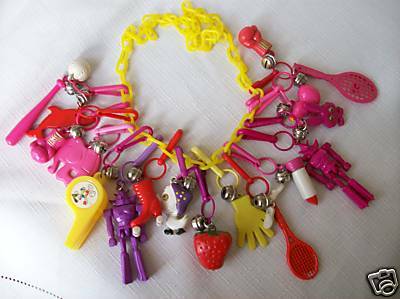 I’m itching to reunite with plastic charm bracelets!